Blog Quick Quotes: Summer Cards with Connie! 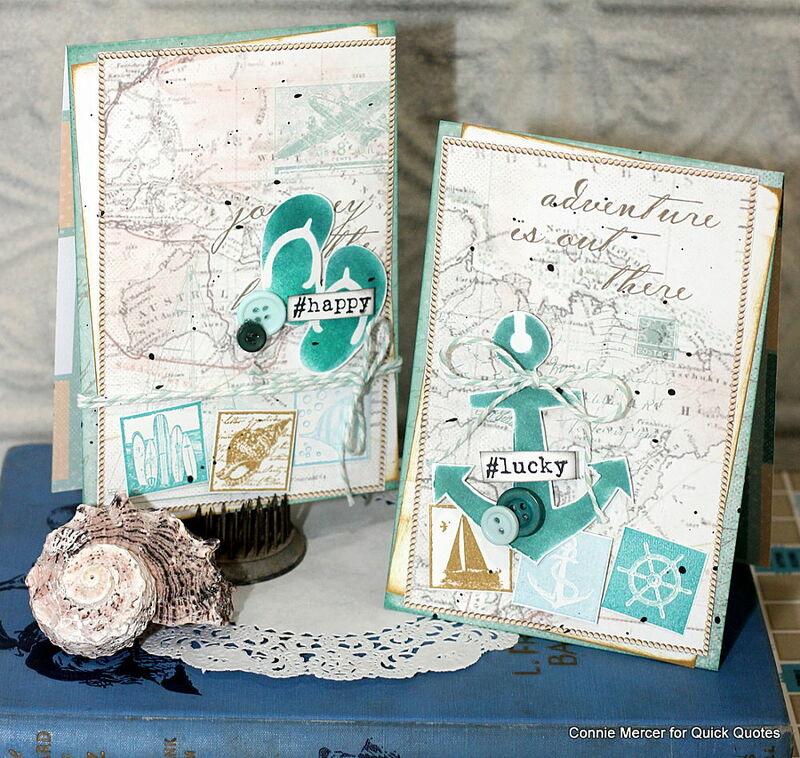 Hi, Connie here with a couple of cards created with some summer fun in mind. I used some paper scraps left over from the May Club Q kit. 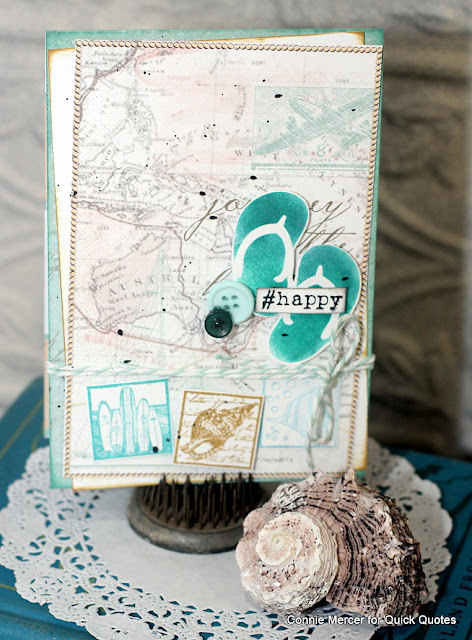 I did some stamping and stenciling to create the embellishments for the cards. 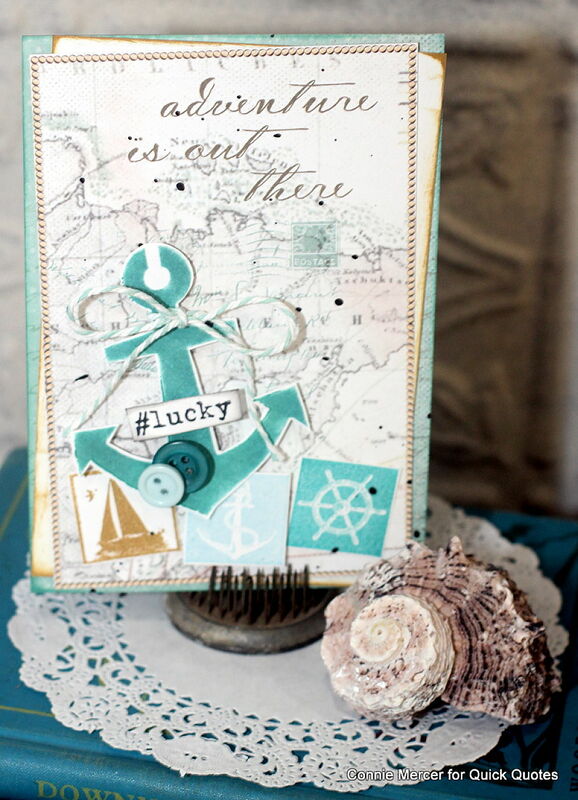 The PowderPuff Chalk Inks are so perfect for this! Layers of paper were added to the card front. The paper edges were shaded with Powder Puff Chalk Inks. The ink adds great definition to the individual papers used to create the layers.